Barbie’s Celebrates 60 Years, Autumn Cashmere Adds Boys and Elegant Baby Expands Sales Team! 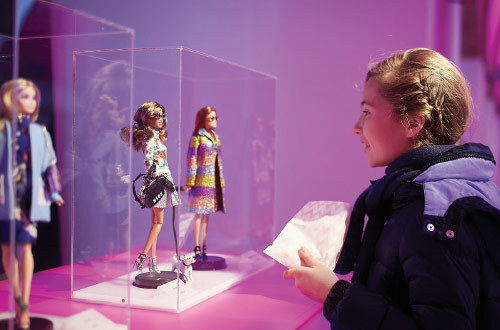 Barbie’s 60th birthday exhibition inspires young girls at the January edition of Pitti Immagine Bimbo. The year was 1959: Alaska became the 49th state, Fidel Castro rose to power in Cuba, NASA introduced the first astronauts (including moon walker Alan Shepard) and Mattel introduced Barbie. Little did the world know back then that the quintessential American woman would have more staying power than even Castro! Marking the big 6-0 (although she still doesn’t look a day over 20), Mattel is embarking on a worldwide birthday bash, celebrating Barbie’s mission to motivate and inspire young girls to dream big like she has for generations. Despite the average toy brand only lasting three to five years, Barbie has proven her staying power, evolving to reflect children as society changes. “Because Barbie has evolved beyond just a doll to a global power franchise, she offers a variety of ways for fans to connect with her through content, programming and product to inspire storytelling and imagination,” Beck says. With today’s movement of female empowerment, Barbie’s messaging is even more relevant. This year, Barbie will be highlighting careers she’s had in the past, including occupations where women are still underrepresented such as firefighter, astronaut and political candidate. Barbie is even championing girls’ limitless potential with the Dream Gap Project, which is Barbie’s multi-year global initiative to raise awareness around limiting factors that prevent girls from reaching their full potential. The goal of The Dream Gap Project is to leverage Barbie’s global platforms to educate society on gender biases and inspire supporters to join in inspiring girls to be anything. 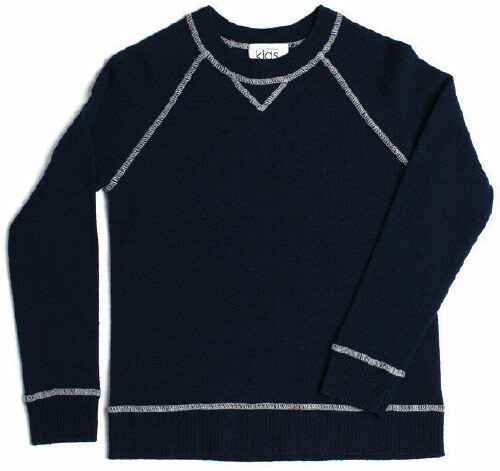 Known for its luxury cashmere knitwear, Autumn Cashmere is releasing a boys’ capsule collection for Fall ’19. The brand has been growing its childrenswear clientele since launching a girls’ line in 2012, and the expansion is the next stage of growth, according to Amanda Wachsmuth, sales director for the children’s and men’s collections. “Customers have shown interest in boys, so we wanted to introduce it as a small capsule,” she says. Made with Merino wool and cashmere, the collection includes five styles, sizes 4 to 16. The line features core basics like a ribbed bottom crew, two-button thermal Henley, color-block saddle shoulder, cool-cover stitching and a camo print. The suggested retail range is from $130 to $150. Elegant Baby is adding two well-known children’s apparel representatives in the New York and Midwest territories, respectively. The new partnerships are part of a strategic growth plan that includes increasing brand awareness and consumer engagement with a focus on specialty retailers. 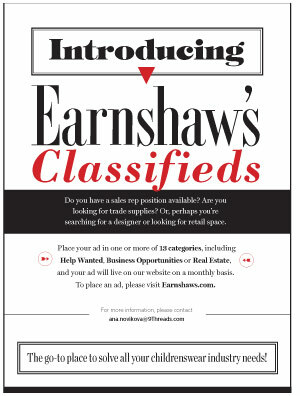 Ali Moroze of Ali’s Market brings a degree in fashion and more than 13 years of experience to her award-winning Manhattan showroom. Husband and wife duo Tom and Vicki Leckie of Victoria’s Keepsakes have represented brands from their headquarters in Redford, MI, since 1989, and will be overseeing the Midwest region.